We are about 1 week away from going back to school! This summer has been so fun. Going down in the family history books for sure:0) Our trip to Puerto Rico was the highlight, but the extra time at home was time well spent! Each year we try our best to let our teachers know how much they are appreciated. 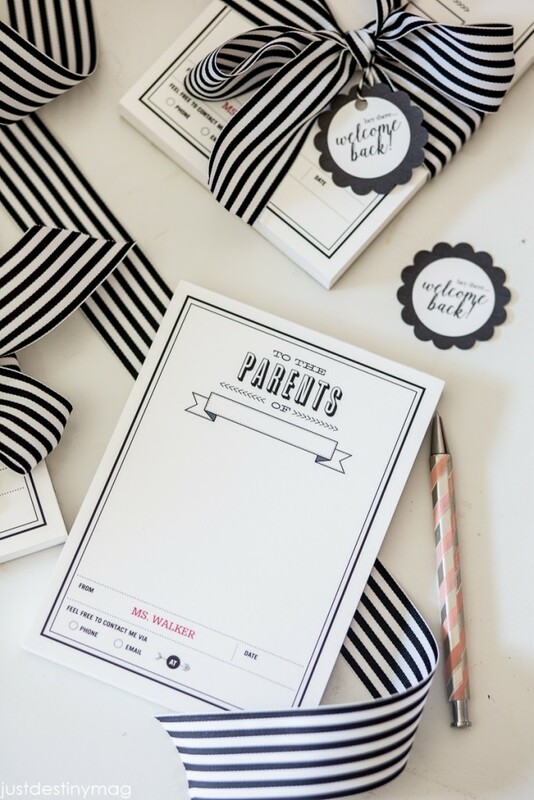 The calendar gives up plenty of opportunities to show some love through teacher appreciation week, Christmas gifts and of course back to school! This year I decided to send each teacher a little notepad. I know it seems so old school but I can’t imagine a teacher not loving to send home handwritten notes to parents these days. It’s just one of those things that will never get old. 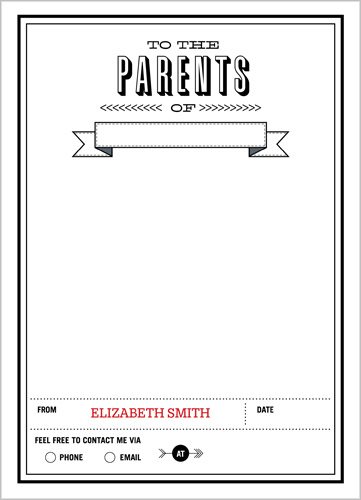 Shutterfly has some great options for personal notepads. I purchased these ones during a sale last week. They have SO many good sales you guys! Plus when you sign up for email they send you free coupons for all types of products. Great way to try out different things before you buy. 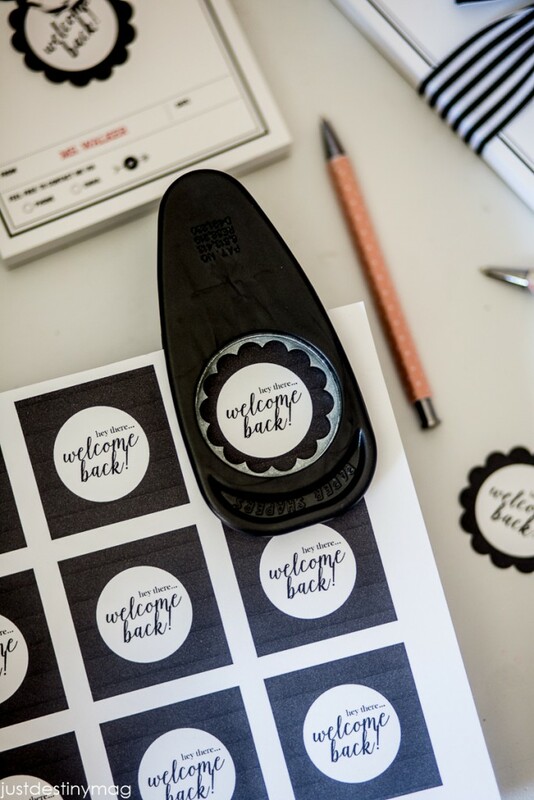 Of course I wanted to pretty them up a little bit so I made a little 2 inch welcome back tag that you can get below in the Just Destiny Shop! 2. 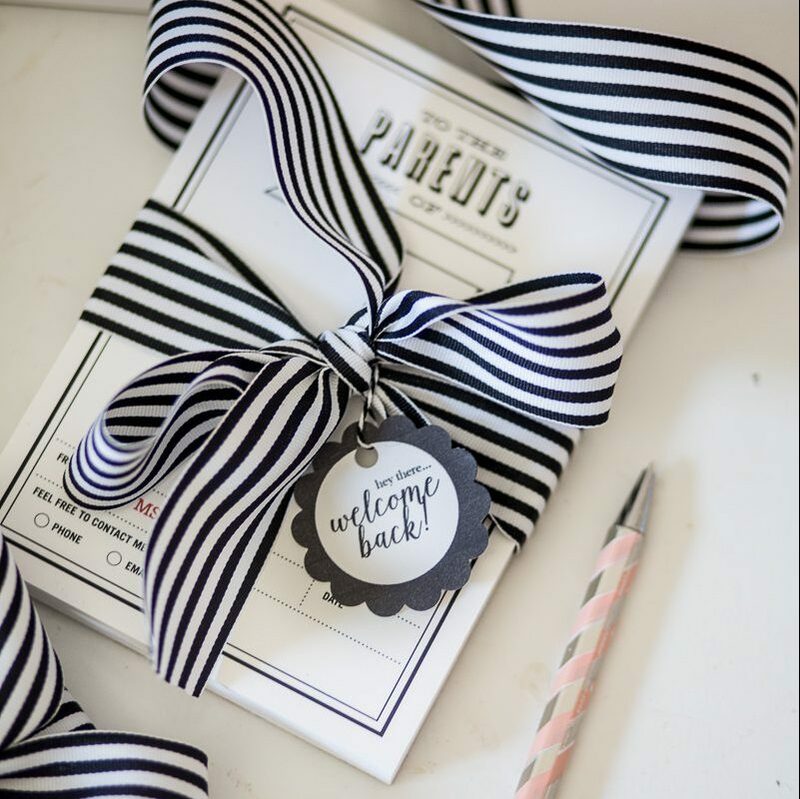 Next, wrap the notepad up with this YUMMY two sided ribbon. 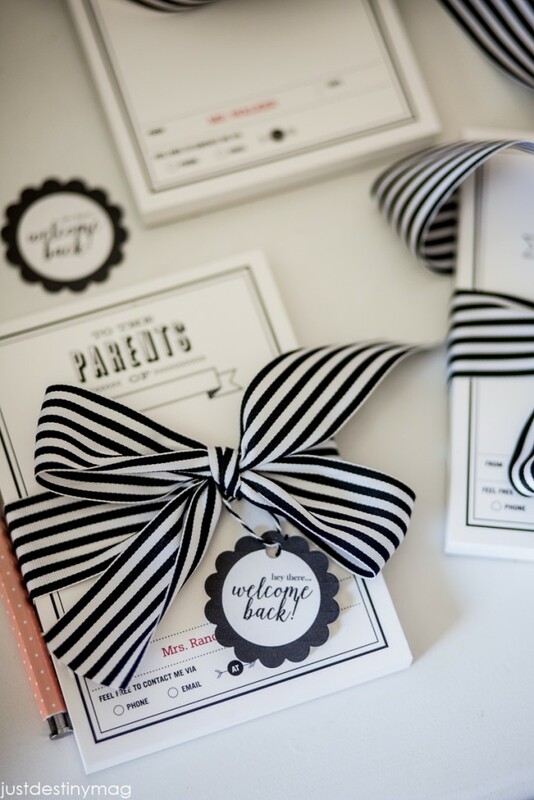 I love.this.ribbon. Seriously I own it in every color. 3. 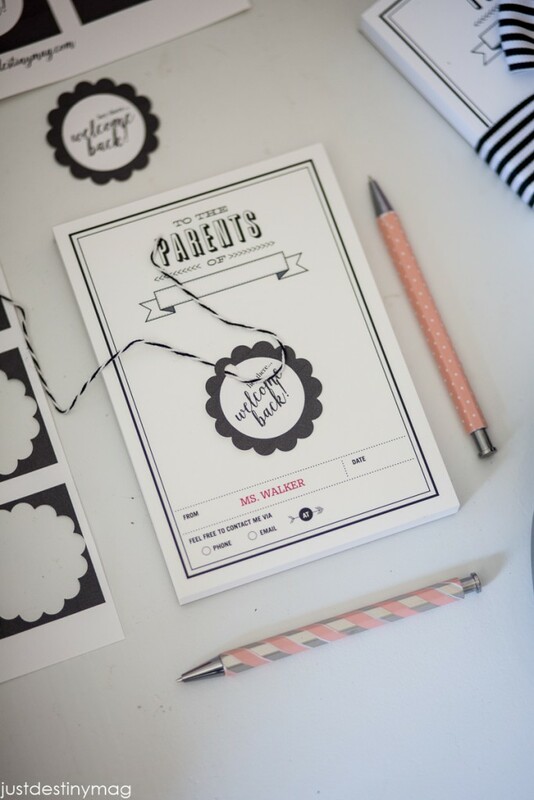 After that, use a small hole punch to punch a hole at the top of the tag. Then feed a small piece of twine through it and attach it to the ribbon with a knot. 4. 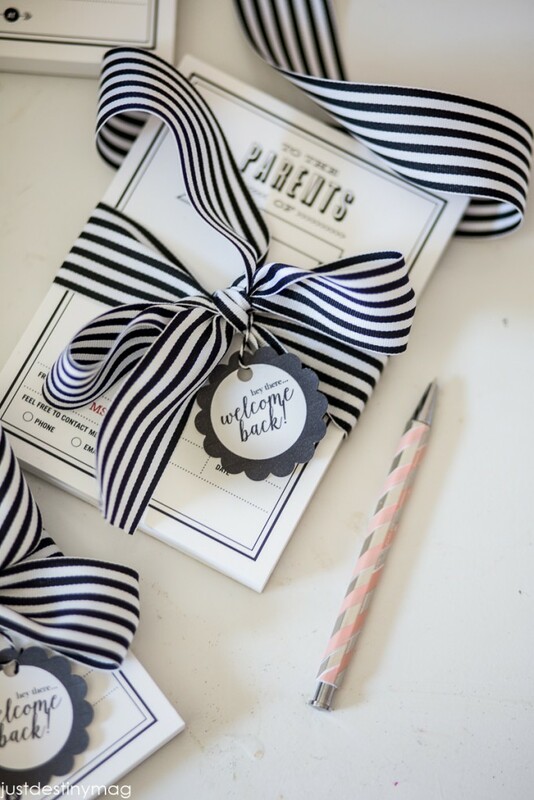 Then tie the remaining ribbon in a cute bow! Tada! I hope our teachers will love them! 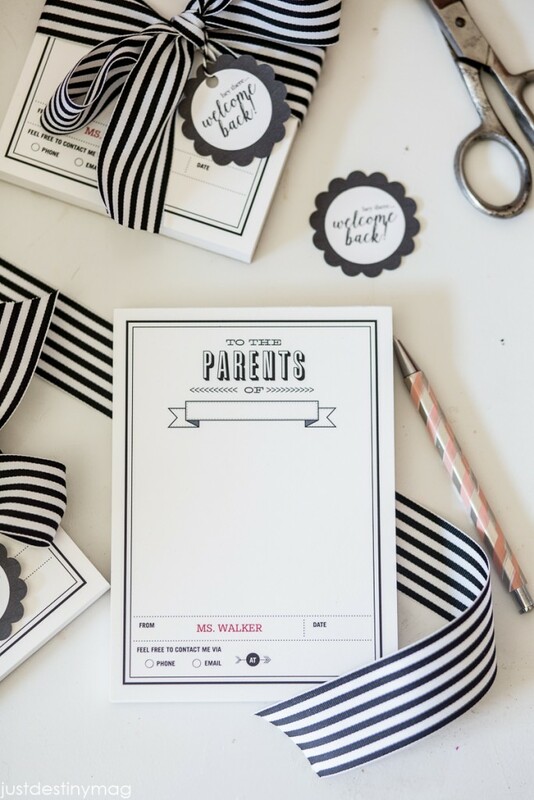 This post contains affiliate links to my favorite online store for photos and personal gifts, Shutterfly!